As well as being a total Garden Nerd, I'm also a bit of a Book Worm. I've always loved to read, and since I've really started to embrace living a simpler, greener life, an important source of inspiration and education has been books. There are so many books on my bookshelf that are worthy of a mention, but I thought that today I'd share 5 with you that I particularly love. Rohan Anderson is a family man, a talented DIY-er and a modern-day hunter-gatherer. Primarily concerned with how to live off the land and provide himself and his family with fresh, local food, Anderson has become and expert hunter, fisher, forager, gardener, pickler and sometimes barterer. He now shares his healthy and sustainable secrets and experiences. 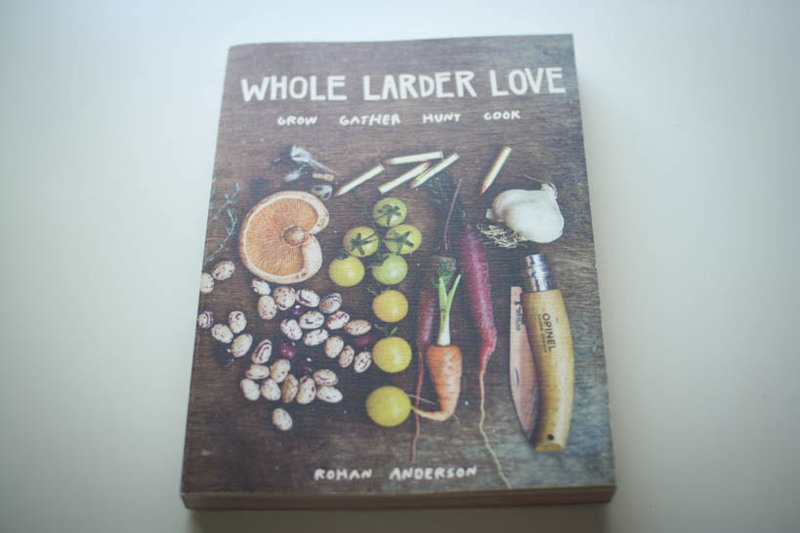 In Whole Larder Love, Anderson gives us delectable recipes, easy-to-follow gardening, foraging and hunting tips, and guidance on the proper tools, gear and resources to use. While that's all true, it's not the recipes that make me love this book (although they are good too!). It's the essence of the life Rohan is trying to lead in the face of our modern, economically-driven and consumer-focused society that really gets me passionate. Rohans blog makes me question how I live my life and has become somewhat of a 'conscience prompt' for me. If I could read only one blog for the rest of my days, this would be it. The photos and design of this book are also fantastic, and it's regularly off my shelf and on my kitchen bench. Highly recommend it! Whether you are a hardy homesteader or just getting started with a few herb pots on your windowsill, The Edible Garden offers food for thought on creating your very own haven that is as beautiful as it is delicious....Fowler shares her trademark wisdom and inventive tips to help your garden grow abundantly - from saving and sowing your own seeds, to mixing the worlds best compost, to brewing your own herb teas and growing such a bounty of veggies that you will have to learn how to pickle and preserve them! Good for the pocket, good for the environment and hugely rewarding for the soul, The Edible Garden provides a taste of the good life to anyone willing to pick up a trowel. I think veggie gardens needn't be single plots and rows of produce - I'm much more enamoured with this style of gardening, for it's beauty as well as for it's practicality, especially for those people with limited space or who are just not able to landscape their yards to accommodate a designated patch. While this book is written with the UK in mind, the content is still highly relevant, taking you on a journey through Alys' garden and into her kitchen. It's a firm favourite of mine! ...living a life that's not complicated by wanting or having too much. It's being satisfied with enough, whatever that may be. It's a way of reigniting the excitement of everyday living because you throw away the rulebook and live according to your own ideals. It allows you to discover the significance of home life and how your home can nurture you. It's a lifestyle that allows you to live well on little money, thereby enabling you to build a family and a home that is based on authenticity and love, rather than on fashion or what is expected of you. It helps you regain power and independence by making you stronger and more self-reliant. It builds sustainability into your family life and home. Isn't that what we are all looking for? The book addresses things like how to integrate simplicity into your life through each decade of your life, as well as information on growing, cooking and keeping a simple home. It also touches on a favourite past time of mine - decluttering - and even goes into simplified finances. If you are someone just starting out on a journey to a simpler life, you could do alot worse than to flick through a copy of this book. Gardens can offer a welcome retreat from the stresses of everyday life, providing links with the natural world as well as giving us a chance to relax. The Healing Garden shows how we can make the best use of the power of the plants in our own garden to heal, soothe and stimulate...showing how they can benefit the whole person, both physically and emotionally, through the five senses of taste, sight, hearing, smell and touch. I tended to skip over all the history bits, but loved the parts about herbs for tea and how to use different plants to stimulate different senses. A very different, and gorgeous, take on gardening. A straight-forward, easy to use guide to veggie growing, this book is sectioned according to month, with What to Plant, What to Grow, Recipes and an Activity for each. It's be an excellent first book in the growing journey for those of us with backyards big or small. The activities are a cute touch, and make the book very family-friendly.. 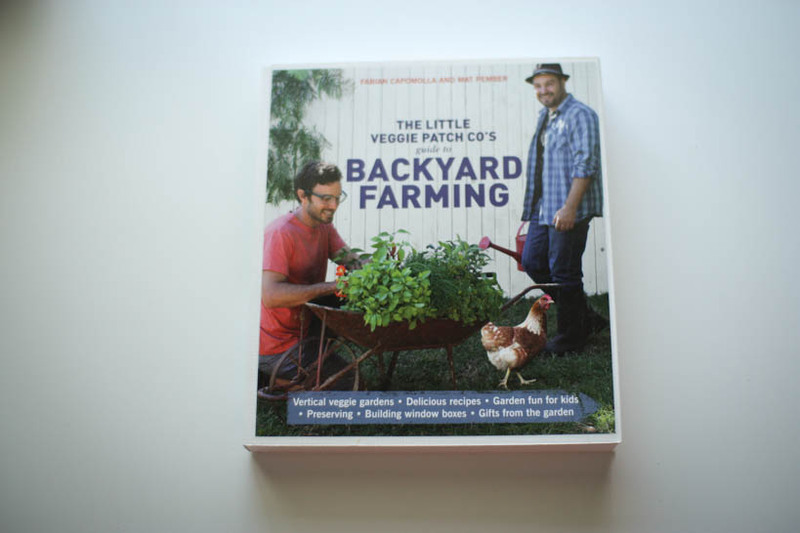 The Little Veggie Patch Co's Guide to Backyard Farmingis packed with fun and easy-to-follow activities such as keeping chickens, growing plants from cuttings, making cider and tomato sugo, and starting a backyard beehive. Learn how to use your home-grown produce, to make delicious preserves and jams, or create garden-inspired gifts such as wooden herb markers or stencilled pots. On top of this, there are lots of activities that are perfect for kids, including sowing seeds, planting seedlings and making lemon cordial. I love how these guys have made veggie gardening fun and quirky - very hipster! So there you have it - 5 books that I love and use regularly, all very different and all very useful. Are you a Garden Nerd/Book Worm too? 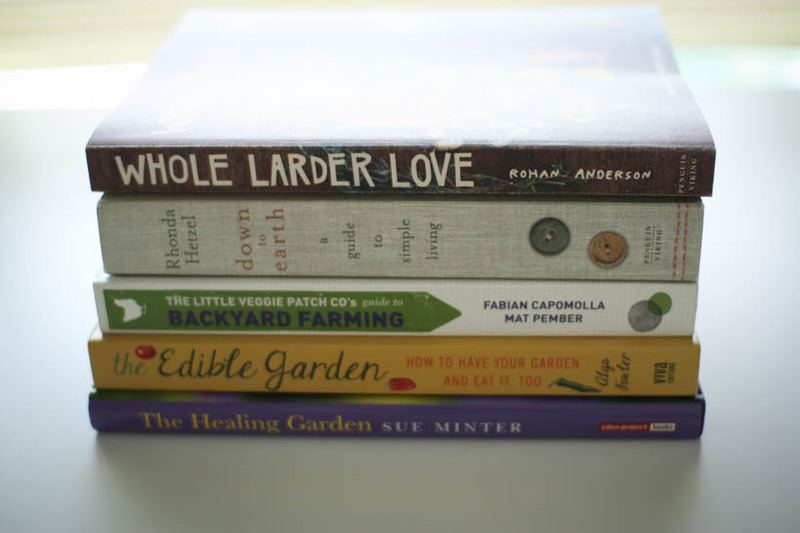 What are your favourite books (gardening or otherwise!)? Tell me in the comments below!